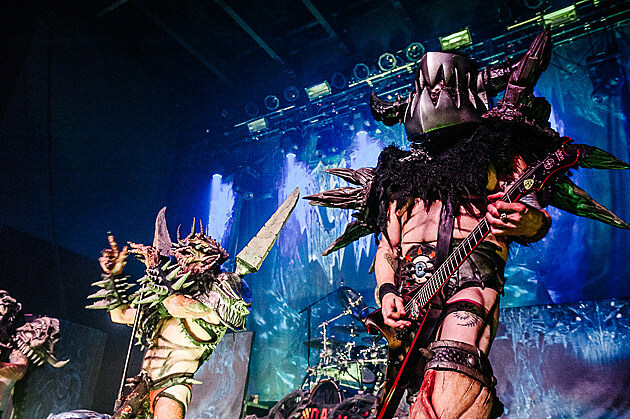 David Brockie, aka Oderus Urungus, the frontman of graphic, theatrical metal band Gwar, has passed away at 50 years old. Cause of death has not been revealed, but police do not suspect foul play. You’ll be missed Oderus Urungus. Thanks for all the maniacal shows over the years. It is with a saddened heart, that I confirm my dear friend Dave Brockie, artist, musician, and lead singer of GWAR passed away at approximately 6:50 PM EST Sunday March 23,2014. His body was found Sunday by his band mate at his home in Richmond, VA. Richmond authorities have confirmed his death and next of kin has been notified. A full autopsy will be performed. He was 50 years old, born August 30, 1963.